Occipital neuralgia is characterized by a chronic ache at the base of the skull with an intense shooting pain that radiates to the scalp. The International Headache Society reports that the area of pain corresponds with the affected nerve. Pressure over the nervus occipitalis major or minor often elicits pain. These nerves originate in the cervical area and are responsible for supplying blood to the scalp. 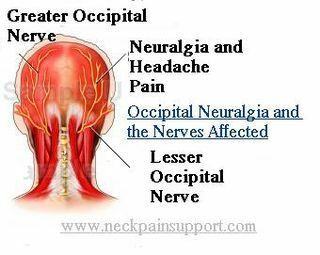 Occipital neuralgia is often confused with a migraine or tension headache, because of the similar symptoms. However, to be treated properly, an accurate diagnosis is needed. Clinical diagnosis is obtained through an understanding of the causes and symptoms along with an occipital nerve block to confirm the presence of occipital neuralgia. A patient who experiences pain relief from the block has confirmed diagnosis of occipital neuralgia. Specific regions of pain include the space between the C1 and C2 vertebral bones, tight fascia muscles, deep side of the trapezius, superficial side of the semispinalis capitis, and the atlantoaxial ligament where the dorsal ramus emerges. Other potential comorbid conditions include tumors in the neck, gout, diabetes, osteoarthritis, and chronic tight muscles in the cervical region. Physicians rely on several tests to help identify the cause of occipital neuralgia. Clinicians screen patients for a specific history of painful symptoms. For example, symptoms related to impingement of cranial and cervical nerves can manifest in vision impairment, dizziness, and nausea. During the patient’s physical examination, clinicians rely on percussion (tapping of the fingers) of the major and minor nerve areas. Tenderness and pain over the nerve areas can often be identified through this technique. 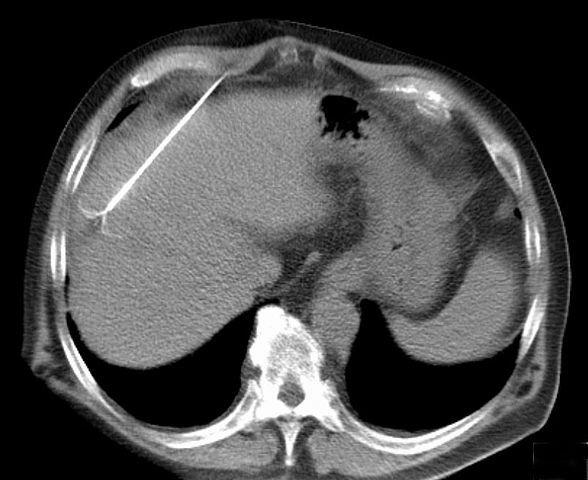 Additional tests such as radiography may also be warranted to rule out other potential underlying pathologies. Occipital nerve blocks involve the injection of a local anesthetic and steroid into the occipital nerve, which assists in “blocking” the sensation of pain in these affected nerves. A growing body of literature has revealed that these nerve blocks are a safe and effective way to both diagnose and treat occipital neuralgia. One recent study reported in Current Pain and Headache Reports showed that patients suffering from occipital neuralgia who received occipital nerve blocks experienced significant pain relief. Radiofrequency ablation involves cauterization of the affected occipital nerve, which prevents it from sending pain signals to the brain. This procedure may be utilized if all other conservative management options have been exhausted. A recent prospective trial published in Pain Practice assessed the success rate of radiofrequency ablation on 19 subjects who were suffering from occipital neuralgia. The results showed that more than 68% of patients reported improvements in pain within one month of having the procedure done. Botox injections decrease muscle activity through the injection of botulinum neurotoxins, which block overactive nerve impulses. Botox is also thought to influence the pain sensory system by inhibiting the release of neurotransmitters involved in the transmission of painful sensations. One recent study reported in Current Pain and Headache Reports showed significant pain reduction during a four-week period after receiving botox injections for headache-related pain. The pharmacological approach to occipital neuralgia may include non-steroidal anti-inflammatory drugs (NSAIDS), anti-depressants, antiepileptic drugs, muscle relaxants, and opioids. When clinicians suspect occipital neuralgia as the cause of neck pain and headaches, they confirm this suspicion through careful screening of the known symptoms. Helpful diagnostic tools, such as occipital nerve blocks, also assist physicians in determining the source of pain. Research has revealed favorable outcomes in reducing pain regarding a variety of non-invasive treatment options. By understanding the causes and addressing the symptoms, physicians are able to successfully treat this painful neurological condition. Aerts K, Vanelderen P, De Vooght P, et al. Pulsed radiofrequency for the treatment of occipital neuralgia. European J Pain. 2009;13;55-85. Bogduk N, Govind J, Cervicogenic headache: An assessment of evidence on clinical diagnosis, invasive tests, and treatment. Lancet Neurol. 2009;8:959-968. Hoppenfield JD. Cervical facet arthropathy and occipital neuralgia: Headache culprits. Curr Pain Headache Rep. 2010;14:418-423. Vanelderen P, Lataster A, Levy R, et al. 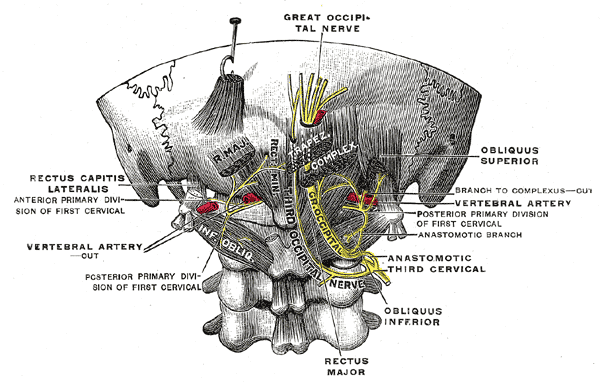 Occipital Neuralgoa. Pain Practice. 2010;10(2):137-144. Young W, Blocking the greater occipital nerve: Utility in headache management. Curr Pain Headache Rep. 2010;14;404-408.